LeavesOut Gutter Guards proudly serves the greater Durham and surrounding areas. We Look forward to serving you! Have the other gutter guard companies left you hanging? In the picture above, low-quality gutter guards allowed water to sit against the edge of the roof. 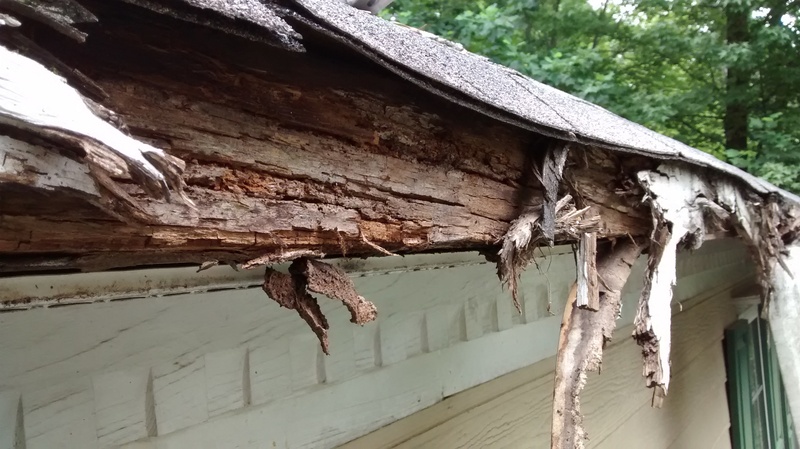 This caused rotting, which then made the gutter fall off the house and crash down to the ground. 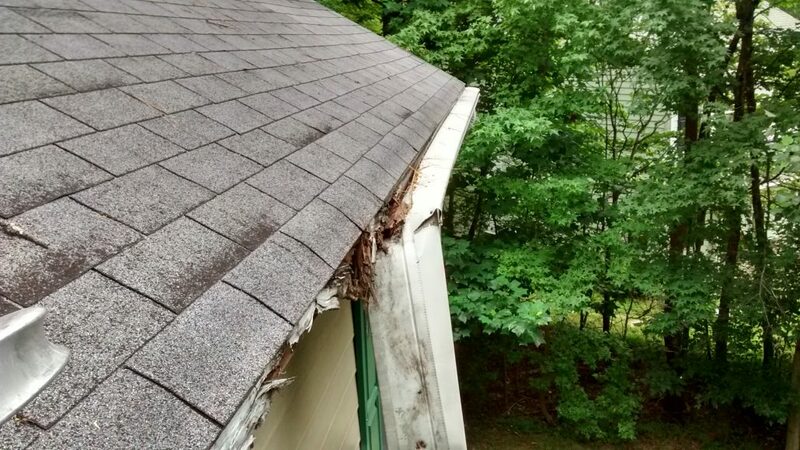 Lower quality plastic guards and many other brands of guards do not properly allow water and debris to slide off the roof. It may seem like a bargain for the price, but after a few years, you may get more than you bargained for from the other companies out there. Why not go with a product designed and manufactured in North Carolina? Surface tension does all the work, and it will never overshoot! Guaranteed to NEVER clog again. 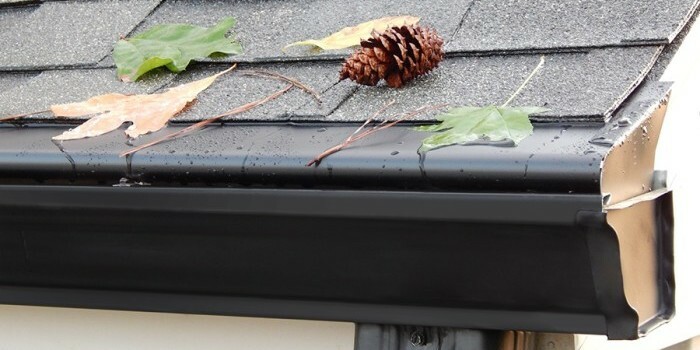 LeavesOut Gutter Guards has you covered. There are 17 points to my father’s patent on the Stainless Steel Hurricane Clips which withstand hurricane winds. In fact, one of our customers had a tornado rip off over half of his roof and LeavesOut Gutter Guards were still attached to the gutters! Most other gutter covers use plastic, PVC or aluminum clips to install their covers; when exposed to UV rays, breakage occurs. Also, aluminum attachments once pushed down by ladders, feet, branches, etc., will close the gap for the water to go in. 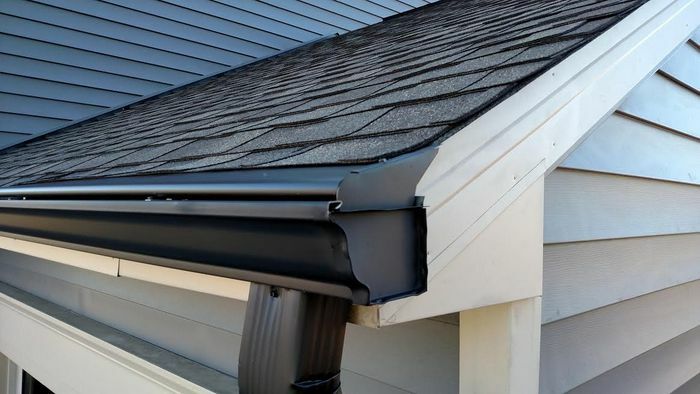 The most critical part of any gutter cover system is the size of the gap between the bottom of the product and top of the gutter. LeavesOut gutter guards use stainless steel clips which are stronger and more durable and therefore can be spaced further apart. Throughout our 27 years of being in business, my Dad has perfected the gap size and positioning of the clip to handle 12″ of rain an hour, and eliminating the opportunity for debris to catch on the fasteners resulting in no clogs and virtually no maintenance; guaranteed! It remains one of the few products on the market that will allow you to hang Christmas lights after installation! We guarantee that Durham homeowners will be 100% satisfied with our lifetime gutter protection system. LeavesOut gives you the very best performance warranty and money back guarantee!